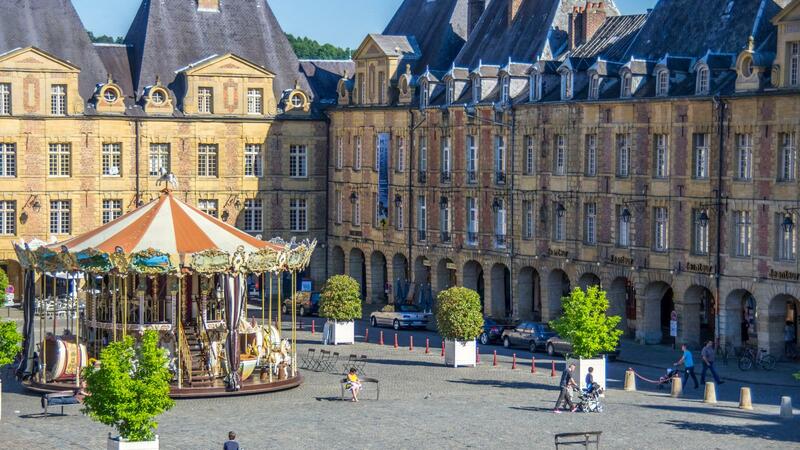 Strategically situated at the centre of the bustling trade routes between France and the countries of Northern Europe, Charleville-Mézières has been considered the southern gateway and administrative capital of the French Ardennes since the Middle Ages. Founded in 1606 by an Italian prince, Charles de Gonzague, it was designed purely in the Italian baroque style. It is a city of art and history that, every two years, hosts the Festival Mondial des Théâtres de Marionnettes (The International Festival of Puppetry), and is also home to one of only a handful of the puppetry schools in the world. 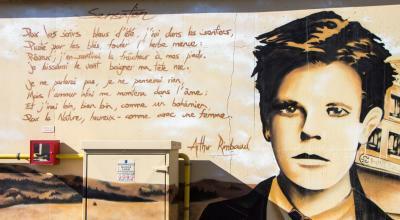 It is bursting with many other riches too: discover the wonderful life and work of Arthur Rimbaud, who was born in Charleville in 1854, and now has an entire museum dedicated to him, called the Maison des Ailleurs (House of Elsewhere), or discover his life at the nearby media library “Voyelles”. Or listen to the enthusiastically shared history of the region told at the superb Musée de l'Ardenne. Charles de Gonzague inherited these lands when he became the Prince of Arches; a small sovereign principality within the borders of the Kingdom of France on the border of the Holy Roman Empire. Charles de Gonzague immersed himself in the ambitious project of creating a new town dedicated to commerce and crafts and the town was officially founded by decreed on the 6th of May 1606. Built from Dom-le-Mesnil ochre cut stone, red bricks, and blue slates, the city rose out of the ground in little over 25 years. It soon became the new trade centre of the Ardennes. These three colours, the blue of the slate, the yellow of the Dom stone, and the red of the bricks, make up the flag of the city. After the departure of C. Métezeau in 1620 it was the local architect Claude Briau who completed many of the remaining construction projects, including most notably the Old Mill, also known as the Porte de Liège, which was designed as the symbolic access point to the river Meuse, and is today the Rimbaud Museum. The city stretches along three meandering offshoots of the Meuse River that surround the town before coming together again in the Ardenne Massif. The river demarcates both the topography and history of the city: it divides the districts, necessitates the bridges, was once a defensive barrier against invaders, and was always a very important channel for commerce, communication, and trade. Charleville and Mézières merged on the 1st October 1966, and the villages of Etion, Le Theux, Mohon, and Montcy-Saint-Pierre would also be added to form the city we know now as Charleville-Mézières. The city Prince Charles de Gonzague dreamt of. the fortified city and commercial cross roads of the Middle Ages. In the 17th Century, Prince Charles de Gonzague, parent of Henry IV, built Charleville. An “ideal” city that was made as a new place for commercial trade. 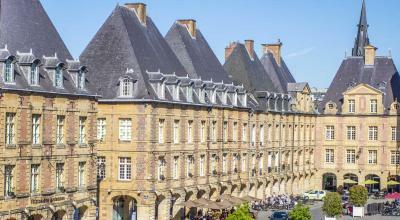 Place Ducale, inspired by the Place des Vosges in Paris, welcomed the European trade that passed along the river daily. The history of France is inscribed in each of the stones of Mézières, a tenth century city and a hub of northern European commerce throughout the Middle Ages. 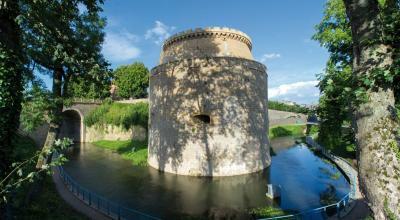 Its ramparts were proudly defended by the knight Bayard against the armies of Charles V in 1521. Charleville is where the precocious and rebellious child, who would later become an internationally recognised icon, was born and raised. Charleville-Mézières is a vibrant city. Depending on the season and cultural event, Place Ducale hosts gatherings of regional, national, and international interest, like the Festival Mondial des Théâtres de Marionnettes (The International Festival of Puppetry). At Mézières, the eco-festival Cabaret Vert draws thousands of festival-goers every year. Through its Musée Rimbaud and Maison des Ailleurs, designed to be "absolument modernes", the city is proud to pay homage to its “enfant terrible”. 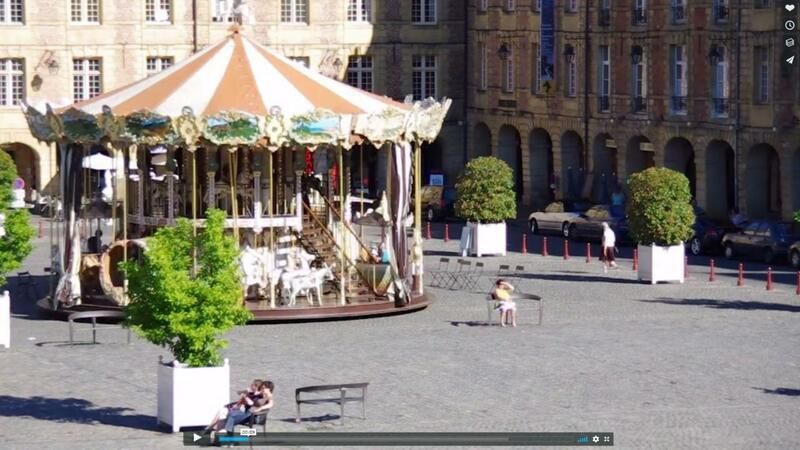 In October, Place Ducale hosts the most beautiful events of the region. Each summer in Mézières, the festival lines up concerts to delight fans of good music, with genres including: rock, reggae, electro, rap, metal and pop! Every two years in September Charleville becomes the international capital of marionettes. The next time this festival will take place is from the 20th to 29th of September 2019.